Mobile phones, especially smartphones, are among the great marvels of the 21st century. The devices are part phone, part camera, part web browsing device, part radio, part TV, and many other things besides, all in one device you can put in your pocket. The drawback that plagues owners of these devices is keeping them charged when they’re on the go. Most people have to scramble to find an outlet or a charging station at the airport. And forget about it if you’re camping or hunting or if the power is out for any length of time. 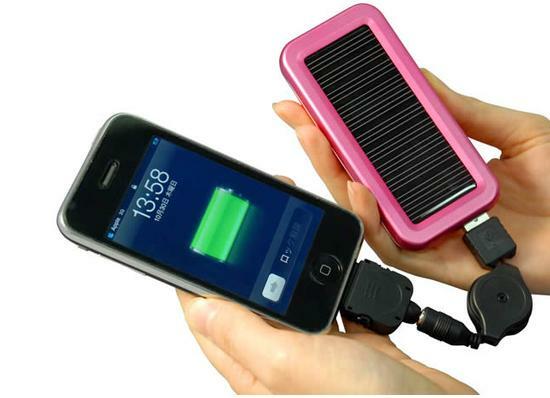 A company called Uncommon Goods is advertising a solar-powered phone recharger. The charger, which sets up on a stand, is advertised as being able to give your phone a full charge in two hours. You can set it up by a window if you happen to be in the city or on any reasonably flat surface if you are off in the country. The recharger also has a light that can keep shining for 150 hours and an emergency beacon setting.